The advent of social networks on the Internet has presented a unique opportunity for businesses to engage with current and prospective clients in a way which was once impossible. As social media has become more popular, it has also started to bridge the generation gap that once existed. What was once a place reserved exclusively for college and high school students has become a social melting pot, allowing for Internet users of all ages to engage in social interaction across different platforms. For businesses, expanding their online presence to a social media website presents several key benefits. For one, a business already has millions of users on these sites who can obtain information about their business without signing up for yet another email newsletter or promotional offer. If they are on Facebook, for example, they can be reached by any business that has a page. Because social media is designed to give users the option to share things that interest them, a business can attract new customers simply by having their logo or brand displayed on the page of those with whom they are already connected. 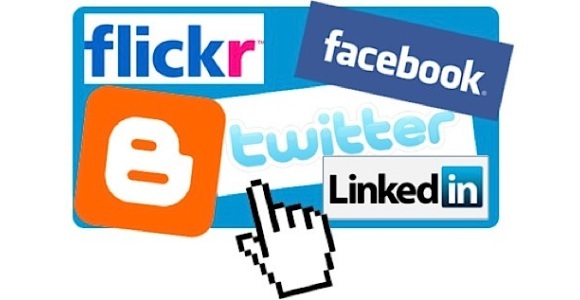 The benefits of social media expand far beyond the site itself. Many have added “share” or “like” buttons that can be easily added into the code of any website and allow users to share or promote content that interests them to their friends. This type of advertising is often more targeted than even the most complex marketing campaign, because users naturally gravitate towards those with similar interests to their own. Businesses can use this aspect of the social media site to gain customers that are far more likely to become brand loyal. Social media can also be used to run contests, promotional offers, or other discounts. Again, users are most likely already signed up for the site itself, and providing a little incentive to “become a fan” of your business page or “like” your products provides great additional advertising for your business long term. It is true that social media represents an entirely new world in terms of online interaction, and businesses need to adapt to each site—each of which has in itself its own code of conduct and etiquette. For example, a business may be able to post as much as once per hour on their Twitter page without being accused of spamming their users, but those rules are entirely different on Facebook or Google+. Also, your employees may be less likely to interact with your company page online, as they probably already have a Facebook page for their own personal use and may not wish to blend the two. A business that joins Facebook will have more access to a user’s personal information than they would in any other medium, and must be careful what they publish in an effort to keep user information safe. Doing so will inspire confidence in the services the business provides, and will help to avoid alienating customers. Overall, social media provides a great way for businesses to connect with current and potential customers in ways that were once thought impossible. From user profiles to targeted advertising, these companies have already laid the framework for businesses to profit. If you’re looking for an affordable medium to boost sales and customer interaction, look no further than social media to meet your needs.